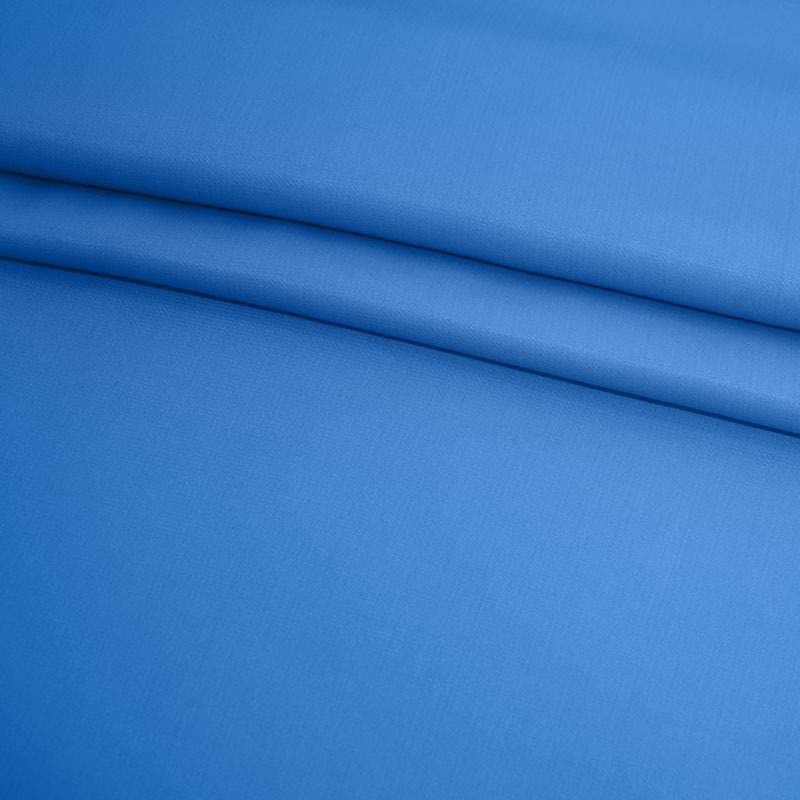 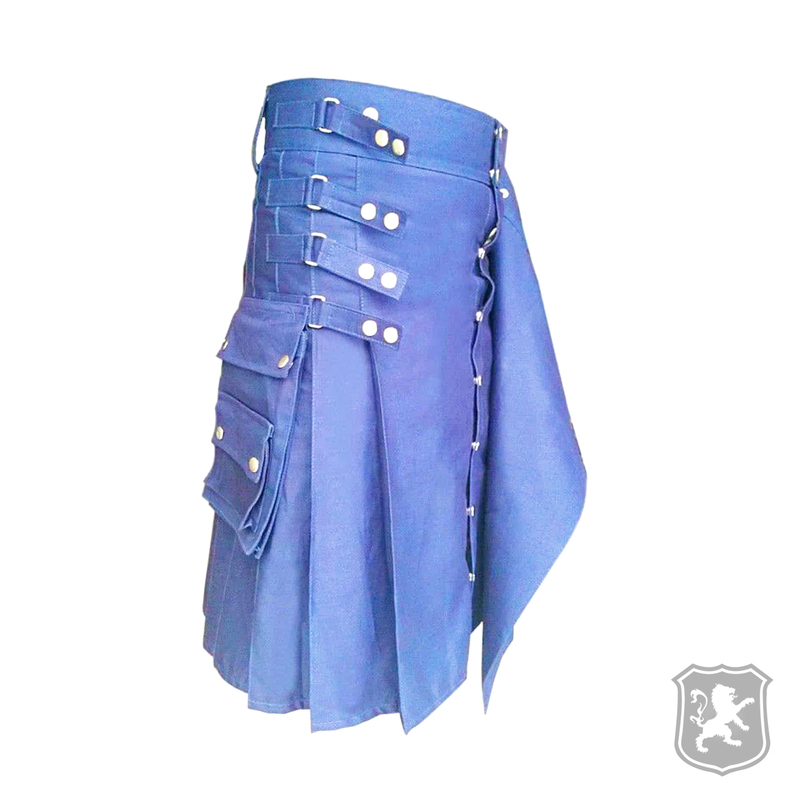 The Blue Hybrid Kilt With Interchangeable Front Apron is another great addition to our Hybrid Kilts catalog. 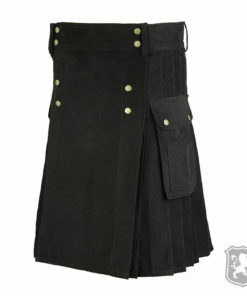 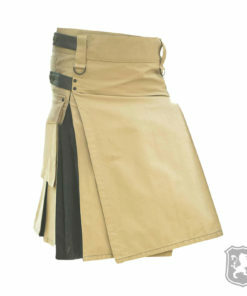 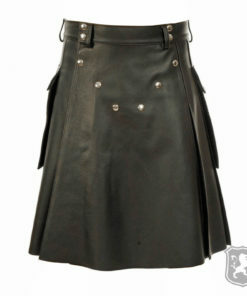 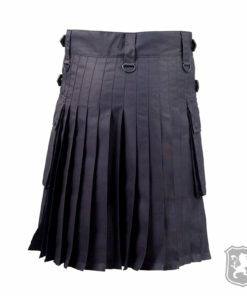 This kilt has a detachable front apron which means that you can replace it with your choice. 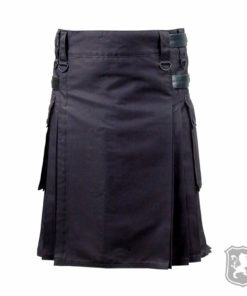 It has three straps on the side given for better adjustment of the kilt. On the front of the kilt you will see that it has a detachable front apron which can be replaced with any other apron of your choice. 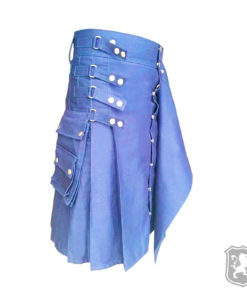 It also has chrome buttons added for decoration purposes only. 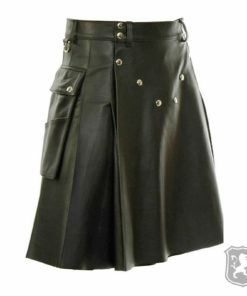 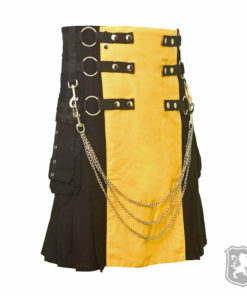 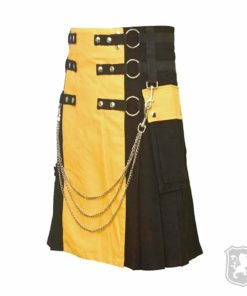 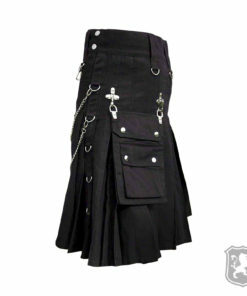 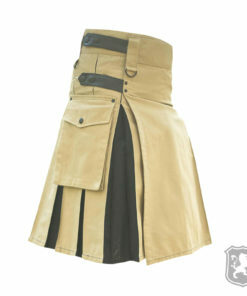 It has two large flap pockets on the back side of the kilt. 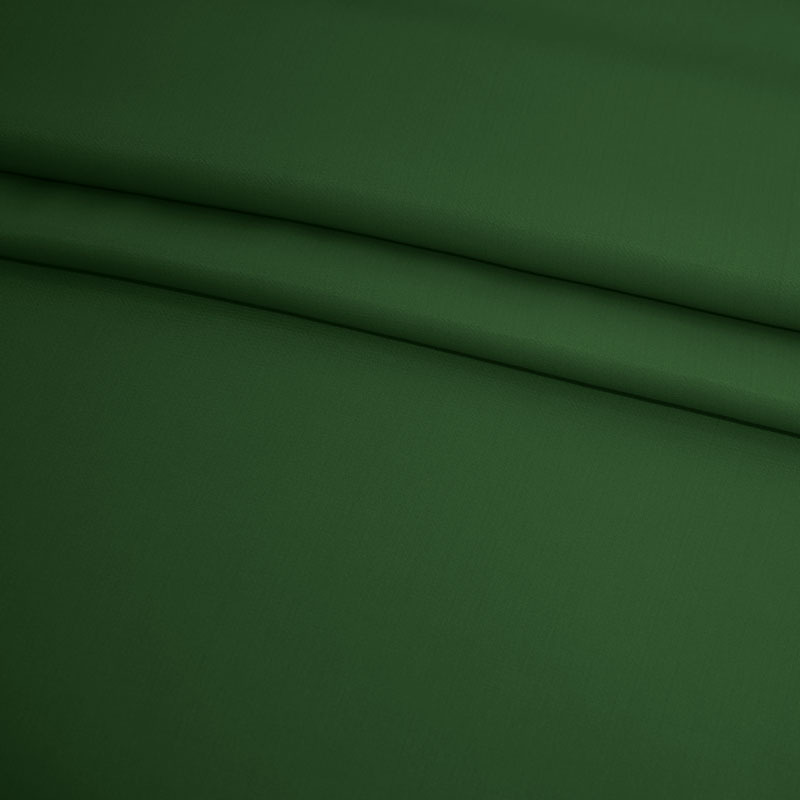 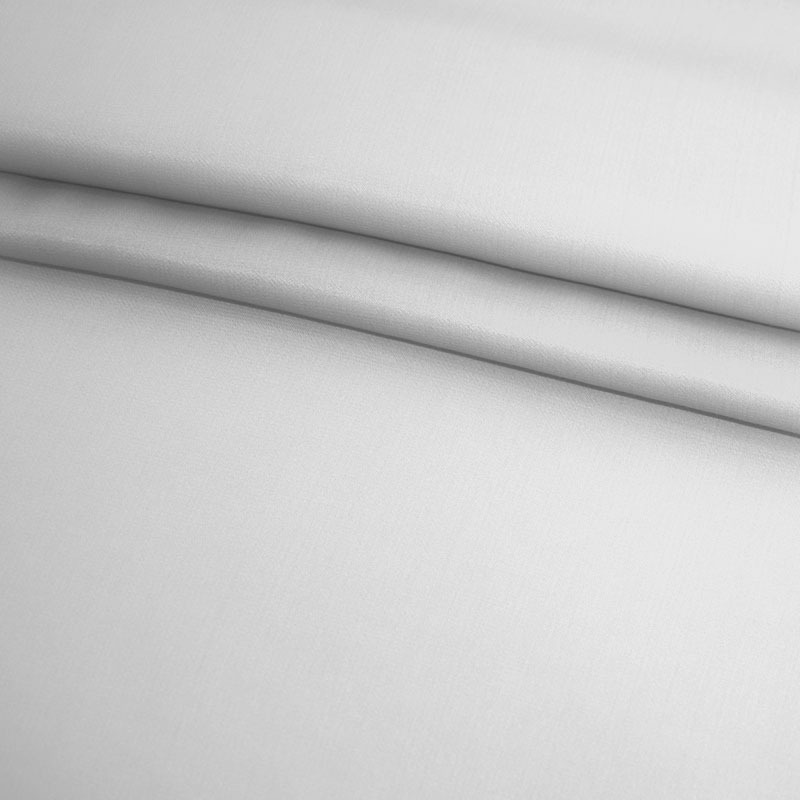 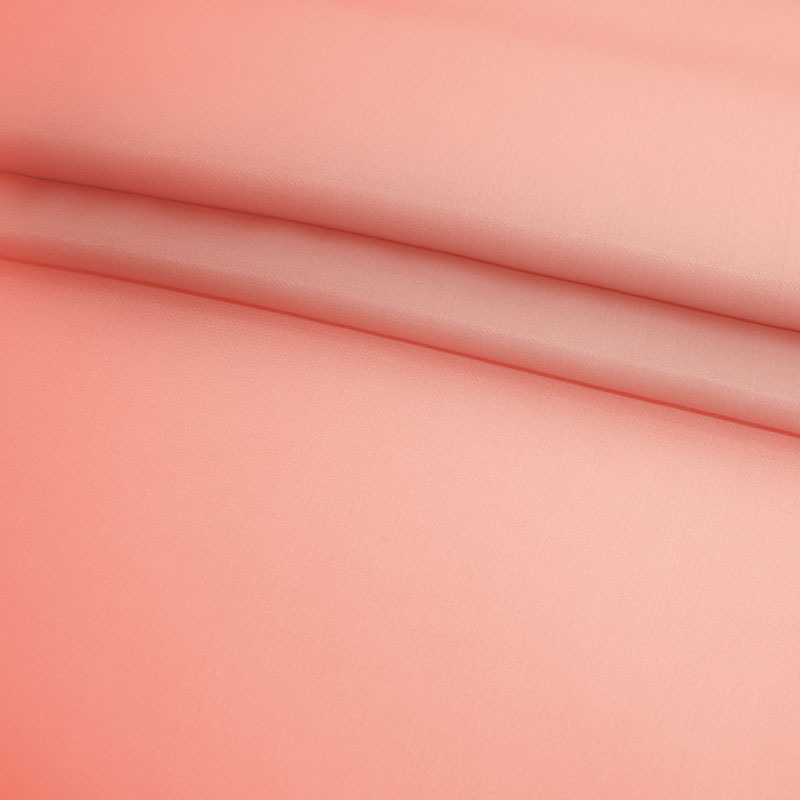 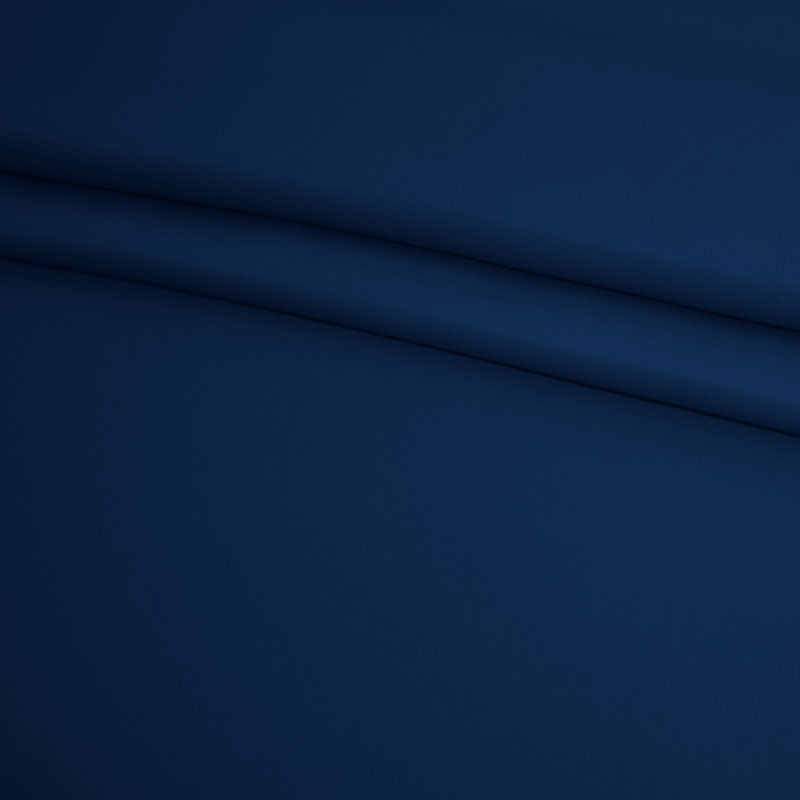 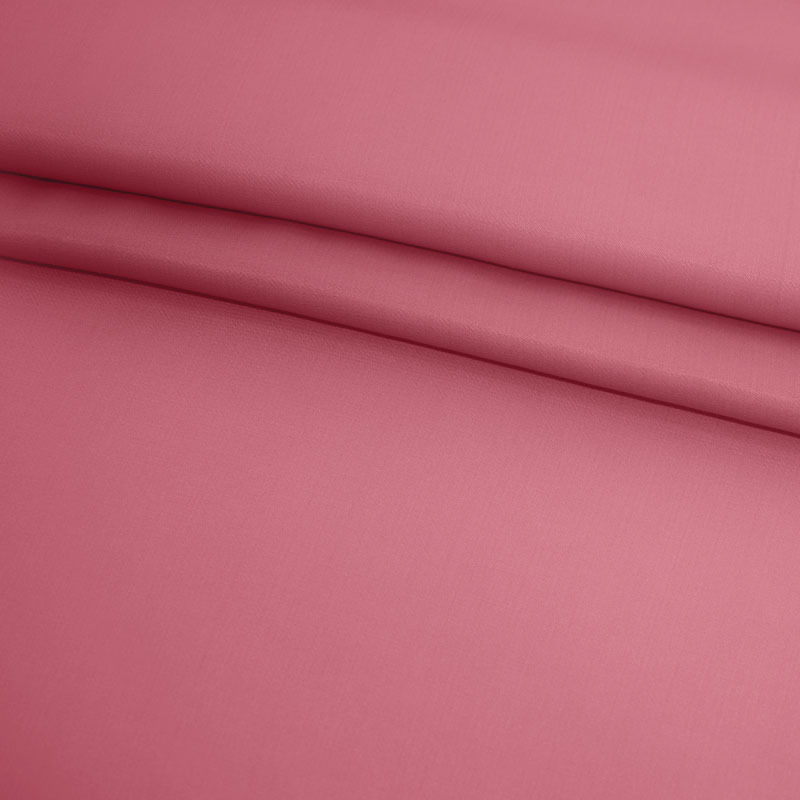 One pocket has another small pocket attached to it which can be used to store tiny things. 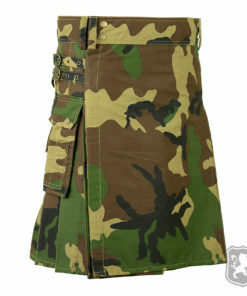 There are chrome buttons on the pockets added for decoration purposes only. 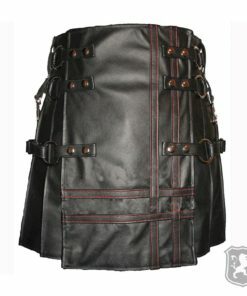 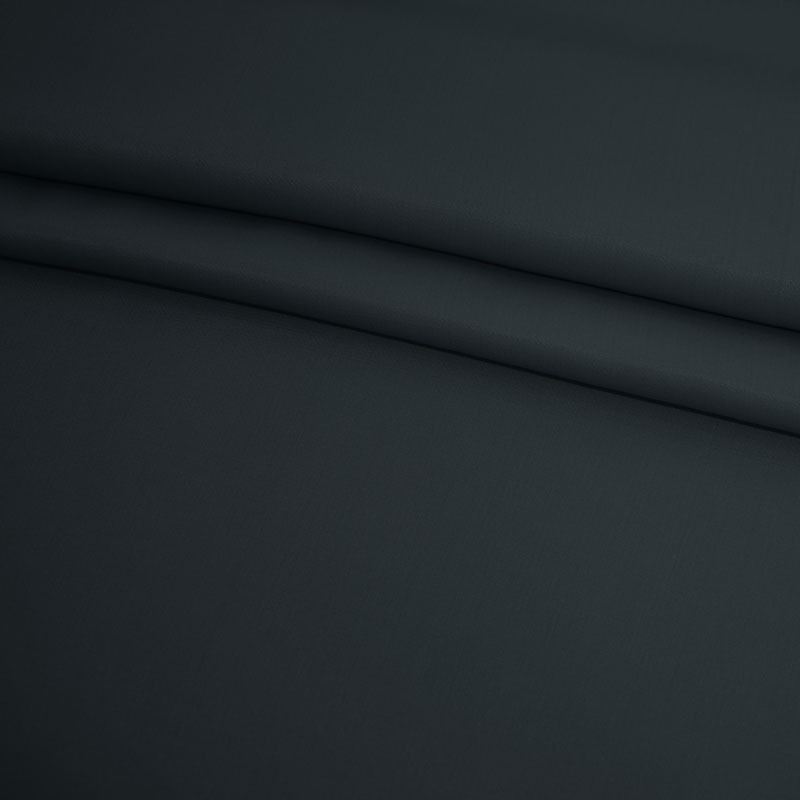 On the side of the kilt, it has three straps which can be used to adjust the kilt properly. 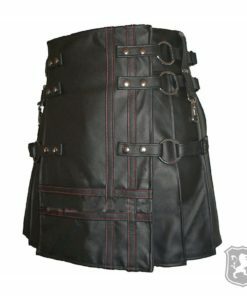 The straps also have chrome buttons used as decoration and they also have chrome buckles which looks really stunning and adds up to the beauty of the kilt. 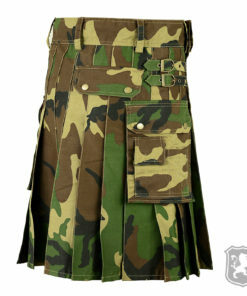 I love this kilt! 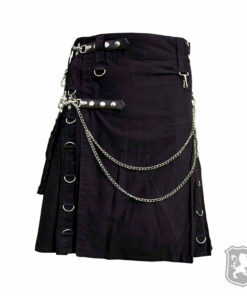 I have always wanted one and this did not disappoint. The color and quality are great!